Justin Kingsley finds the best way of telling the right stories – as an author, strategist, director and photographer. He founded creative storytelling workshop Makumaku. He has written two No.1 National Bestselling books – The Way of the Fight (New York Times Bestseller) a look at Georges St-Pierre’s life philosophy, and Weology: How Everybody Wins When We Comes Before Me, a book of ideas on leadership. With his third book, Justin joined an elite group of authors to publish original works in multiple languages with Le livre du don (Flammarion 2017). In partnership with Roger Frappier and MaxFilms, Justin is currently co-directing feature documentary Where Sea and Land Meet – A Montreal Symphony Orchestra Story. His first feature documentary film – which he produced, wrote and directed – is currently in post-production for release in 2019. It’s the story of a man under house arrest who is never home. In television, he wrote and co-produced four seasons of the nationally-televised 24CH (CTV, TSN, RDS) a weekly documentary about the Montreal Canadiens. Justin recently developed the brand identity and vision for the North American group (Canada, Mexico, USA) bidding to host FIFA 2026 World Cup: United As One. He is behind the slogan and vision for the 2015 Women’s World Cup of Soccer – To a Greater Goal/Vers le grand but. Justin has turned Star Wars and Indiana Jones into global museum exhibitions, and branded the 2010 Vancouver Olympics with the very first bilingual Games slogan – With Glowing Hearts/Des plus brillants exploits. He also developed the award-winning branding and communications strategies for UFC World Champion Georges St-Pierre. A former Press Secretary in the Prime Minister’s Office, he was spokesman for the Right Honourable Paul Martin and was responsible for economic portfolios in the communications directorate of the PMO in 2003-4. Prior he was Chief, Media Relations and Spokesman at Communication Canada. Justin is an internationally reputed public speaker, offering workshops on creativity, storytelling, and strategy. He has appeared at the internationally renowned C2MTL – known as the Davos of Creativity – as host, interviewer and keynote speaker. He was the first to deliver a keynote address on a Canadian case study in 54 years of the Cannes Creativity Festival, and has been featured on the global Creative Mornings tour and podcast. An award-winning photographer, he has hosted four gallery exhibitions of his work. Marketing Magazine has named Justin one of Canada’s most creative people. He is a proud Franco-Ontarian born and raised in Ottawa. His kinetic, infectious talks reveal the motivation behind all the work he does and the source of his success: telling stories. 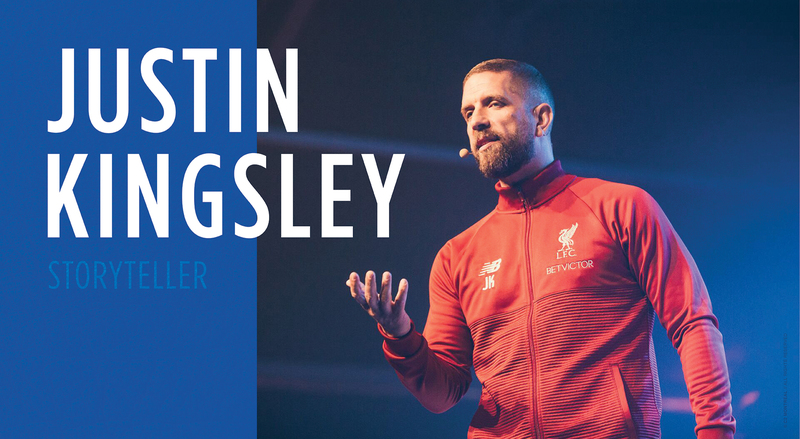 From high-level keynotes on marketing and innovation to motivational speeches that are as powerful as they are intimate, Justin’s talks are always rooted in his message and way of life: find your story, and tell it to the world. Justin Kingsley finds the best way of telling the right stories – as an author, strategist, creative director and photographer. Makumaku is one of John Coltrane’s greatest melodies. Whenever we listen to it, we marvel at how St-John could take a few notes - the same ones everyone else had been playing - and make them sound different, bigger, louder! Fresher, too. And when others played longer, he blew softer. When they’d slow down, his notes and pace would reach heights nobody could find or follow. Only copy. We like airs that sounds familiar, especially when we’re hearing them for the first time. Makumaku. Nutritional and delishional storytelling. Makumaku is the name of a local ball game played in the Eastern Congo, formerly known as Zaire. Johann Cruyff, who came up with the concept of Total Football during a visit to the area in the late 1960s, was part of a goodwill tour of Africa. During the voyage Cruyff said he became involved in a ball game on a small patch of field on the edges of the forest. Showed to him by a local chief named Bonobo, Cruyff learned that no player ever has a specific position in the game. His or her contribution is based on her or his best skill, and integrated into the ultimate team concept. This way each player and each team is part of a constant cycle combining ultimate collective performance and individual growth. We agree. There are no small roles, just small people, most of whom can grow better. Makumaku. Nutritional and delishional storytelling. Makumaku is derived from the latin expression for mother’s milk. The thing we like most is the word’s duplicitous origin: it’s good for you, and good to you. The way it tastes brings babies to tears, literally for hours on end and nothing, not even Paw Patrol or Babar, will divert that hungry child’s focus. On top of being so good for you, well, the thing that merits that much undivided, tearful attention must be delicious too. Makumaku. Nutritional and delishional storytelling. 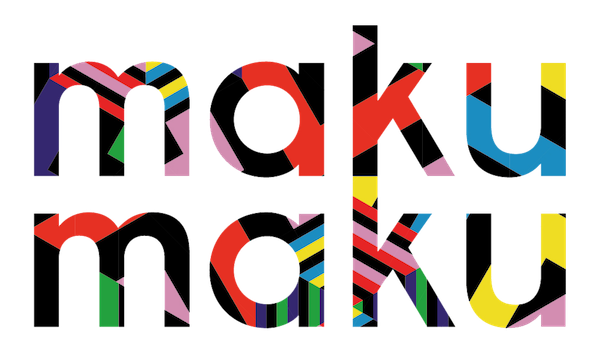 Makumaku was the name Frank Lloyd Wright gave to each of his notebooks, differentiating each one with a number. In this extensive collection of personal notes and sketches, the famed architect would lay out his vision for each of his projects. He would write or draw plans for the building itself, and the following pages would be filled with idea upon idea to ensure architecture and design would be perfectly integrated. The madman thought of everything. Every stick of furniture, every napkin or piece of cutlery on a table, every rose in every garden depended in his light ¦ Just like a good, properly integrated story that permeates every single cell of a living person, from head through heart and down to the toes. Makumaku. Nutritional and delishional storytelling. Makumaku is a native Bytownian word that describes a tree’s aerating root system. Roots have many roles we find ourselves connected to and not just because we’re tree-huggers. In addition to helping water absorption, the root acts as an anchor. It’s a place where nutrients are stored, and is at the, well, root of reproduction. So when we close our eyes and think of Makumaku roots, we see stories anchored on solid matter, and tales that grow in all kinds of wonderful direction, remaining connected to a greater core. Yes, a trunk. Makumaku. Nutritional and delishional storytelling.